I’ve worked on multilayered design challenges where I've been able to cultivate a deep understanding of user needs via qualitative and quantitative research methods. I use this data to drive decision-making about new features and future roadmap planning. Throughout my career, I’ve worked cross-functionally to integrate business strategy into meaningful solutions that create real impact. My approach to product development is deeply rooted in social science methodologies and practices. I’ve led multiple teams through all stages of the product development process, including ideation, gathering design requirements, visual design, writing code, launch, and growth. I ruthlessly prioritize delivering user value and have worked with stakeholders to define MVP, prioritize speed to market, and let user data drive feature decisions. 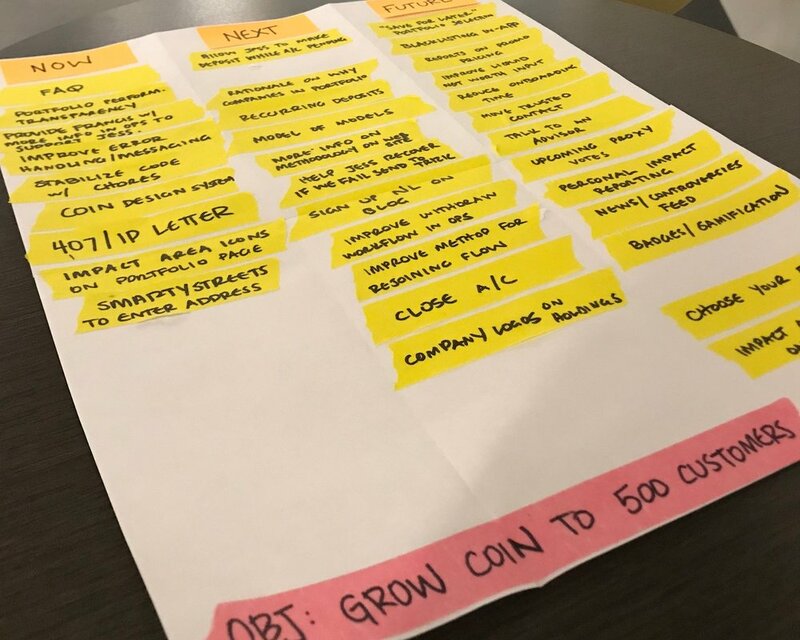 I've built outcome-based product roadmaps for physical and digital products that align the vision and strategy of my stakeholders to the short, medium, and long-term priorities of the team. I've led innovation workshops that break down concepts integral to the design thinking methodology and taught teams at startups and large companies how to scale their ideas through collaborative activities. I love working with stakeholders to craft large concepts, breaking those ideas down into tangible experiments, and learning from users how we might refine them. I've designed and led multiple qualitative research projects in various points of the product development process - uncovering foundational research questions, gathering design requirements, identifying behaviors and motivations of target consumers, and refining design decisions through usability testing. If you have any questions about the projects I've worked on or my experience, please send me an email.